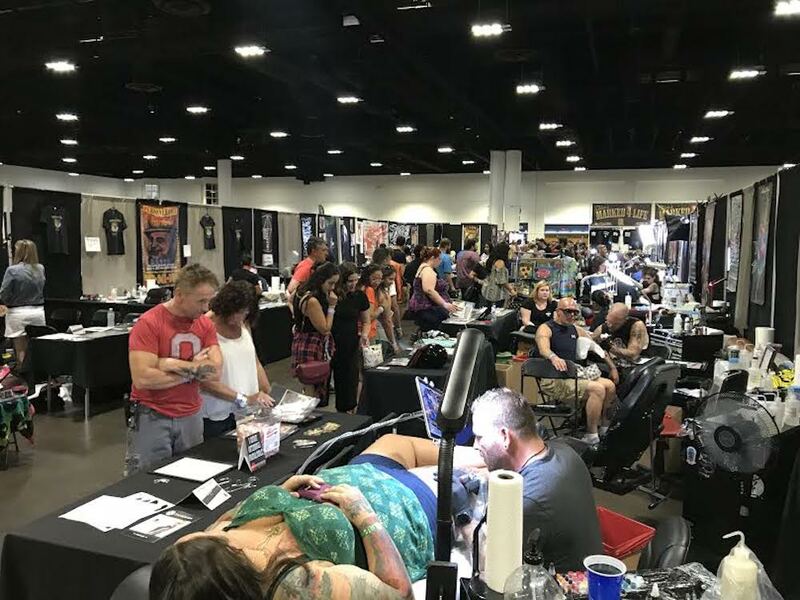 Last weekend, Oct. 6-8, Tampa hosted the 2017 Tattoo Arts Convention at the Tampa Convention Center. The event held more than 300 artists from all over the world, including Ink Masters contestants, such as Cleen Rock One, runner-up of seasons five and seven, and James Vaughn, a finalist on season one. Besides the many artists together in only one place and the tattooing, the event held a lot of options for entertainment, including burlesque shows by Gia Nova, and live human suspension, in which performers hang by piercings through their skin. Many of the artists also use the convention to make their way into the business and spread their brand to the people. Martens said that even though she is tattooing, she also wants to sell her tattoo ink here in Florida. “Our ink is big in Connecticut, but they are not in the market in the South, so we are just trying to push something new in this way,” said Martens. The convention brings a lot of artists with different stories, which makes each of them unique, even though they have the same passion. Rayssa Taiar, a senior International Business and Marketing double major, went to the convention to check it out.